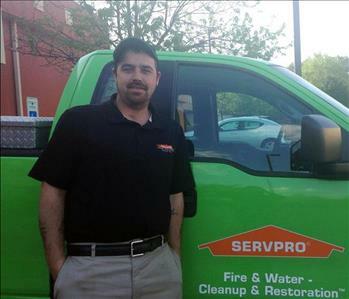 Meet Kevin Bernard, Production Manager for SERVPRO®of Kempsville/Military Circle. He was our lead Crew Chief with SERVPRO of Newport News and has been with SERVPRO since 2006. Kevin is a valued member with leadership skills and experience to manage the other team members that work with him. His overall knowledge and attention to detail make him a great Production Manager for our new location in the Kempsville/Military Circle area. 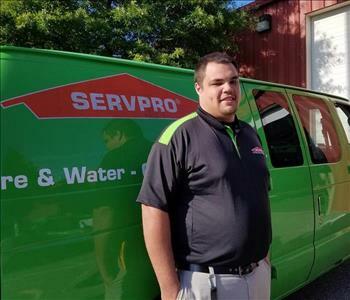 Meet Dylan Reynolds, Crew Chief for SERVPRO® of Newport News and has been with our franchise since 2013. Dylan is a valued member with much persistence and determination to manage the other team members that work with him. His strength and physical capabilities make him a great Crew Chief.